The annual report card on Indian Economy paints an optimistic picture of the country’s performance. 2016-17 was a period of lower inflation, fiscal discipline, moderate current account deficit and stable rupee-dollar exchange rate. Demonetisation has come with short term costs but long term benefits. The external sector has finally seen exports rising. Though there are global concerns, there also are many opportunities to capture. Universal Basic Income merits a serious discussion. 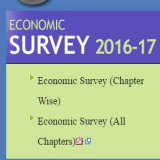 Structurally, Economic Survey 2016-17 is divided into three sections: The Perspective, The Proximate, and The Persistent. There is an additional section, right after the preface, called "Eight Interesting Facts About India". In Section I, the introductory chapter titled “Economic Outlook and Policy Challenges” provides a broad overview of recent developments and a near-term outlook. The following chapter, The Economic Vision for Precocious, Cleavaged India, looks at the long term to analyze where India stands on the underlying economic vision, and how must it undergo certain “societal shifts” to realize the vision. Section II deals with four pressing near-term issues: demonetisation, the festering twin balance sheet challenge and ways to address it, fiscal policy of the center and states, and labour-intensive employment creation. Section III deals with more medium term issues. There are two broad themes to this section: the states (and cities) and Big Data. "Cooperative and competitive federalism" gets a special mention. The chapter on "Other Indias" deals with the states that are remote, rich in natural resources and more reliant than others on redistributive transfers. The Survey, in its initial pages, reminds the reader that the authors have used Big Data to ensure their claims are backed by numbers. It produces the first estimate of the flow of goods across states within India, based on analyzing transactions level data provided by the Goods and Services Tax Network (GSTN). The Survey analyzes why, in spite of major programs targeting the poor and the unhealthy, the outcomes are less than satisfactory. It explores - through a fictional conversation of Mahatma Gandhi with himself - if Universal Basic Income is a possible solution. It also boasts of a contribution from the Finance Minister and a “creative” cover page allowing the Survey to be judged by its cover. Intriguingly, the Survey begins with accusing Amazon of pirating last year’s Survey. This year's Survey comes in the wake of a set of wild global developments – Brexit, political changes in advanced economies, especially the United States - and two radical domestic policy actions: the constitutional amendment on GST and demonetisation. A flagship annual document of the Ministry of Finance, Government of India, Economic Survey reviews the developments in the Indian economy over the previous 12 months, summarizes the performance on major development programs, and highlights the policy initiatives of the government and the prospects of the economy in the short to medium term. This document is presented to both houses of Parliament during the Budget Session. It is authored by the Economic Division of the Ministry of Finance. 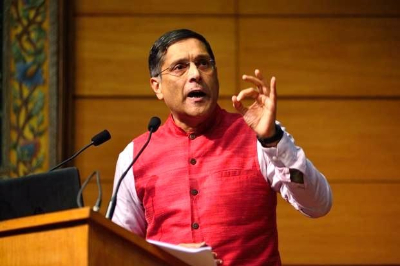 This year, like in the previous two years, Arvind Subramanian, the Chief Economic Adviser to the government of India, headed the development of the Survey. Why does India appear interesting? The Survey curiously begins with “Eight Interesting Facts” on Indian economy, as if to prove a point to those who doubt India’s potential - even calling out one such group. The Facts are impressive, a few even surprising. Yet again, Indian economists have obsessed with China, trying really hard to prove that India is doing better than China. Internal migration is much bigger than previously thought: New estimates based on railway passenger traffic data reveal annual work-related migration of about 9 million people, almost double what the 2011 Census suggests. Credit agencies are biased against India: China’s credit rating was upgraded from A+ to AA- in December 2010 while India’s has remained unchanged at BBB-. From 2009 to 2015, China’s credit-to-GDP soared from about 142% to 205% and its growth slowed down. The contrast with India’s indicators is striking. Yet, China is rated 7 levels higher than India. Arvind Subramanian called this “poor standards” of “Standard and Poor’s”, considered one of the Big Three credit-rating agencies, which also include Moody's Investors Service and Fitch Ratings. Misallocation of welfare spending in India: The districts accounting for the poorest 40% of people receive 29% of the total funding. India is not yet a Fiscal Democracy: India has 7 taxpayers for every 100 voters ranking it 13th amongst 18 of its democratic G-20 peers. Demographic Dividend is about to happen: India’s share of working age (WA) to non-working age (NWA) population will peak later and at a lower level than that for other countries but last longer. The peak of the growth boost due to the demographic dividend is fast approaching, with peninsular states peaking soon and the hinterland states peaking much later. The chart that goes alongside this prediction shows the peaks in many states coming around the year 2020. West Bengal will have the highest peak (of WA/NWA) at around 2.1. India trades ‘more’, externally and internally: As of 2011, India’s openness - the ratio of trade in goods and services to GDP - has far overtaken China’s, a country famed for using trade as an engine of growth. India’s internal trade to GDP is also comparable to that of other large countries. 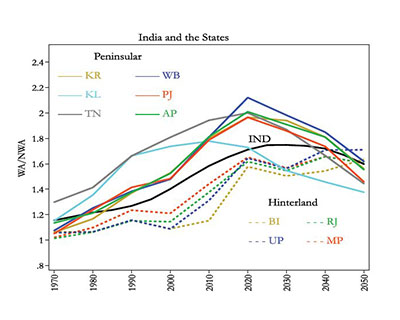 Regional inequality within India increasingly rapidly: Spatial dispersion in income is still rising in India in the last decade (2004-14), unlike China. This is happening despite more porous borders within India than between countries internationally. Property Tax potential unexploited: Evidence from satellite data (are they watching us from up there !) indicates that Bengaluru and Jaipur collect only between 5% and 20% of their potential property taxes. When does India appear to have done well? The first chapter, Economic Outlook and Policy Challenges, reviews the developments in Indian Economy in 2016-17. It says India has remained macro-economically stable, carrying on the consolidation from the previous year. Real GDP growth (GDP growth adjusted for inflation) in the first half of the year was 7.2 percent, on the weaker side of the 7.0-7.75 per cent projection in the Economic Survey 2015-16. The main problem was fixed investment, which declined sharply as stressed balance sheets in the corporate sector continued to take a toll on firms’ spending plans. On the positive side, the economy was buoyed by government consumption, as the 7th Pay Commission salary recommendations were implemented and by a late and long awaited recovery in exports. Sector-wise, there was improvement in agriculture, due to good monsoon rains. There was strong growth in public administration and defence services, while the industrial and non-governmental service sectors struggled. Inflation has two distinct characteristics, both of them positive. The retail inflation, measured by the Consumer Price Index (CPI) - New Series has continued to decrease, and stood at 3.4% in December 2016. The fall in agricultural prices, especially of pulses, due to bountiful monsoons has helped. The wholesale inflation, measured by the Wholesale Price Index (WPI), which was dangerously low at (-)5.1 percent in August 2015 bounced to 3.4% at end-December 2016. 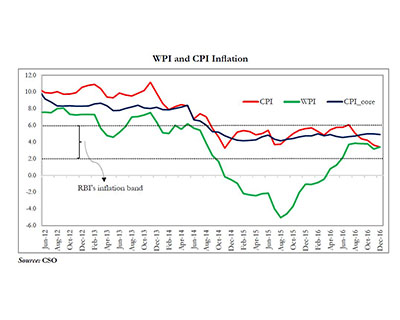 The difference between CPI and WPI inflation, which had serious implications for the economy, has narrowed considerably. The outlook for the year as a whole is for CPI inflation to be below the RBI’s target of 5 percent, a trend likely to be assisted by demonetisation. GDP growth in 2016-17 to dip to 6.5%, down from 7.6% in last fiscal. 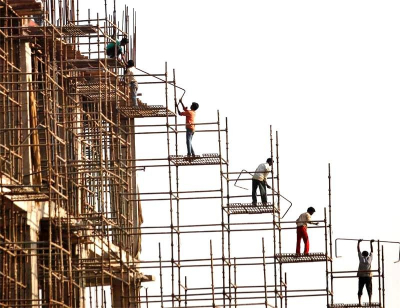 Economic growth to rebound to 6.75 - 7.5% in 2017-18. Farm sector to grow at 4.1% in the current fiscal, up from 1.2% in 2015-16. There will be a fiscal windfall from Pradhan Mantri Garib Kalyan Yojana (PMGKY) and low oil prices. Fiscal gains from Goods and Services Tax (GST) will take time to realize. Growth rate of industrial sector estimated to moderate to 5.2% in 2016-17 from 7.4% last fiscal. The adverse impact of demonetisation on GDP growth will be temporary. The central government will meet its fiscal deficit target of 3.5% of GDP this year. The state governments are struggling. Their consolidated deficit has increased steadily in recent years, rising from 2.5 percent of GDP in 2014-15 to 3.6 percent of GDP in 2015-16, in part because of the UDAY scheme. Their finances may slip further on account of the expected growth slowdown, reduced revenues from stamp duties, and implementation of their own Pay Commissions. Note: PMGKY is Union Government’s second income disclosure scheme (IDS) to allow tax evaders to come clean with unaccounted wealth. It provides for 50 per cent tax and surcharge on declarations of unaccounted cash deposited in banks. The Ujjwal Discom Assurance Yojana (UDAY) Scheme allows state governments to take over 75 per cent of power distribution companies (DISCOMs) debt and pay back lenders by issuing bonds. Where is the external sector heading to? The Survey shows that the external sector has performed better in 2016-17 than in the previous financial year. The current account deficit declined to reach about 0.3 percent of GDP in the first half of FY2017. At US$ 360 billion in December 2016, foreign exchange reserves are at comfortable levels, well above standard norms for reserve adequacy. In part, surging net FDI inflows, which grew from 1.7 percent of GDP in FY2016 to 3.2 percent of GDP in the second quarter of FY2017, helped the balance-of-payments. The trade deficit declined by 23.5 per cent in April-December 2016 over corresponding period of previous year. During the first half of the fiscal year, the main factor was the contraction in imports, but during October-December, both exports and imports started a long-awaited recovery, growing at an average rate of more than 5 per cent. The growth was partly driven by the better performances of Germany and the United States. However, the effects of low oil prices may not be as beneficial now as it was in the previous years. On the flip side, software service exports slowed and financial service exports declined in 2016-17. Net private remittances declined by $4.5 bn in the first half of 2016-17 compared to the same period of 2015-16, due to the oil price decline, which affected inflows from the Gulf region. A sharp rise in the dollar is expected with a corresponding decline in the currencies of India’s competitors, notably China and Vietnam. The rise of countries such as Vietnam, Bangladesh, and the Philippines that compete with India across a range of manufacturing and services. The global trade environment is deteriorating. The environment for global trade policy has probably undergone a paradigm shift in the aftermath of Brexit and the US elections. 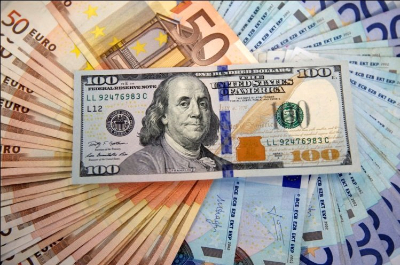 These are likely to be worsened by macro-economic developments in the United States, and in particular the sharp rise in the dollar that is already under way. The dollar become even stronger as the US becomes more protectionist under the new President. India could more proactively seek to negotiate free trade agreements with the UK and Europe. With the US retreat from regional initiatives such as the Trans-Pacific Partnership (TPP) in Asia and the Trans-Atlantic Trade and Investment Partnership (TTIP) with the EU, it is possible that the relevance of the World Trade Organization might increase. Being a large stakeholder in the World Trade Organization (WTO), India could pro-actively pursue multilateralism in trade. Who, as per the Survey, did a remarkable job in 2016-17? 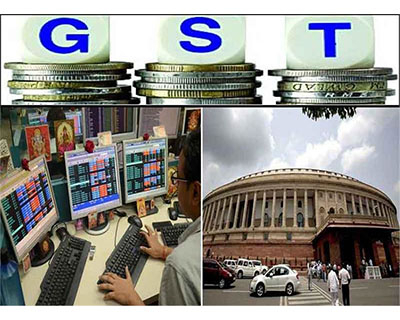 In August 2016, Parliament passed the Constitution (122nd Amendment) Bill, 2014, meant for the roll-out of the Goods & Services Tax (GST), which paved the way for a uniform indirect tax regime in the country. It codified the institutional arrangements on monetary policy with the Reserve Bank of India (RBI), by amending the Reserve Bank of India Act, 1934 to consolidate the gains from macroeconomic stability by ensuring that inflation control will be less susceptible to the whims of individuals and the caprice of governments. It solidified the legal basis for Aadhaar, by passing The Aadhaar (Targeted Delivery of Financial and Other Subsidies, Benefits and Services) Bill, 2016 to realise the long-term gains from the JAM trinity (Jan Dhan-Aadhaar-Mobile). How can India do away with the multitude of state subsidies for the poor? The Economic Survey 2016-17 has advocated the concept of Universal Basic Income (UBI) as an alternative to the various social welfare schemes in an effort to reduce poverty. The survey contrasts the benefits and costs of the UBI scheme in the context of the philosophy of Mahatma Gandhi. It concludes that the Mahatma, in spite of having anxieties about UBI as being just another add-on Government program, may have given the go-ahead to the UBI. 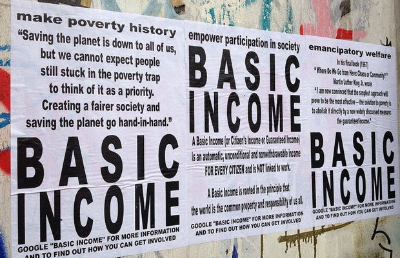 The Survey says the UBI, based on the principles of universality, unconditionality and agency, is a conceptually appealing idea but with a number of implementation challenges lying ahead especially the risk that it would become an add-on to, rather than a replacement of, current anti-poverty and social programs, which would make it fiscally unaffordable. Based on a survey on misallocation of resources for the six largest Central Sector and Centrally Sponsored Sub-Schemes (except PDS and fertilizer subsidy) across districts, the Survey points out that the districts where the needs are greatest are precisely the ones where State capacity is the weakest. This suggests that a more efficient way to help the poor would be to provide them resources directly, through a UBI. The two prerequisites for a successful UBI are: (a) functional JAM system as it ensures that the cash transfer goes directly into the account of a beneficiary and (b) Centre-State negotiations on cost sharing for the program. The Survey says that a UBI that reduces poverty to 0.5 percent would cost between 4-5 percent of GDP, assuming that those in the top 25 percent income bracket do not participate. On the other hand, the existing middle class subsidies and food, petroleum and fertilizer subsidies currently cost about 3 percent of GDP. It does not advise immediate implementation of UBI. It only says that the UBI is an idea which merits serious discussion now.